Water Street Home #StrawsSuck, but they don’t have to! We have often discussed cutting down on single-use plastics, such as disposable utensils, packaging, beverage containers, razors and the like. Thankfully, innovators are coming up with better, reusable products to replace the old standbys. When was the last time you washed and reused a plastic straw, or served a milkshake with a stainless steel straw? Plastic straws ranked the seventh-most common piece of trash collected on global beaches in 2017, straws that break down into microplastics and make their way into our water systems. Just as bad are the significant number of straws that end up intact in waterways, presenting numerous health hazards for wildlife. Plastic straws are so common, it makes removing them from our lives an enormous challenge. While individual efforts certainly can make a difference, the enormity of the problem requires a mass elimination of plastic straws by businesses and industries. Even if you’ve personally banned the plastic straw in your life, there’s little you can do once the waiter delivers water to your table with the straw already in place. 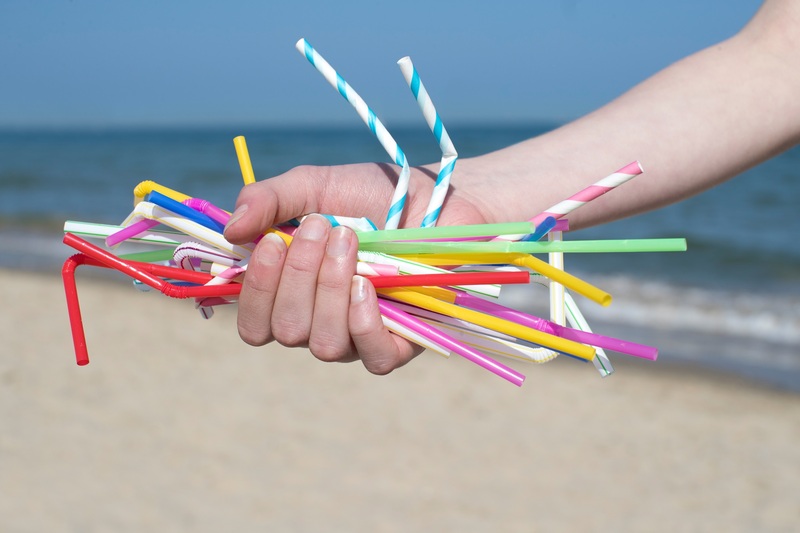 The good news is that businesses, the restaurant industry and other key players are banning together to ban the straw. Join with American Water affiliates in taking the skip the straw pledge. When dining out or purchasing a beverage, request to exclude the straw before you place your order. When eating out make sure to ask your server to eliminate the straw before water is brought to the table. If you or your companion requires a straw for physical reasons, inquire if the restaurant has a biodegradable or eco-friendly alternative. If you own a restaurant or food service business, ban the straw or use only green options. Bring your children up straw-less—the best solution is never start in the first place! By working together, we can improve things for our waterways and our planet—not with little sips, but by game changing gulps.